Available in audiobook, paperback ,and e-book format! FREE on Kindle Unlimited! Little Deborah Harrington stared across the street the day the Michaels family moved in. Who was this family? Would she even like them? Nicholas Michaels hated the fact he had to move away from everything and everyone in his life, but his feelings change when he meets the Harringtons. 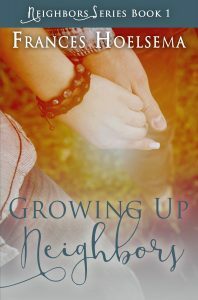 Deborah and Nicholas become the best of friends, and as the children grow up, their friendship deepens. But when tragedy strikes, will this cause them to part ways? Or will it perhaps make them realize they may have stronger feelings for one another before it's too late?